When reading Nic Newman’s working paper: ‘The rise of social media and its impact on mainstream journalism’, a few topics arose which I found rather interesting. Firstly the success and falls of social media (mainly focusing on Twitter) and the relationship created from social media that you do not see in mainstream journalism. 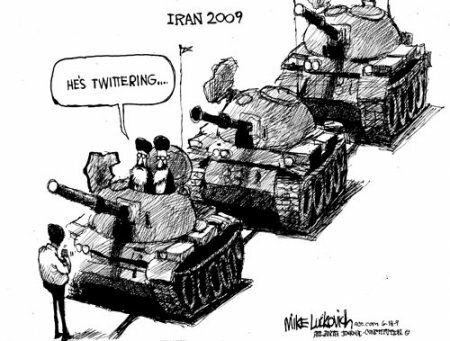 Lets start with the successes of social media from certain events, lets name a few: The Iranian election in June 2009, Mumbai attacks in 2008 and more recently Hurricane Sandy in October 2012. All of which showed how when supplies were low and power was down, Twitter and other social media tools were available to provide up to date coverage on these awful disasters. A lot of which was also a tool for people involved to express their opinions and send out a voice for people to listen to and respond to. This brought out a more emotive and personal form of journalism (or should I say citizen journalism) and also helped assist news coverage when professional journalists could not be there. Maybe, yes, but surely without these people involved, no one would have been able to see the full extent of these disasters. So against Jarvis’s opinion I feel that this rise of social media is in some ways an advantage. It is not just about the sheer amazement of the scale of the upload, it was the speed of distribution and the way in to these people’s lives that made social media sites so successful and drove the news agenda which really marked out these stories. Twitter was mainly used to share information and became the main glue of highlighting and filtering all activity but it is true that there is little evidence that it was used as a primary tool for organising riots during the Mumbai attacks. There is always this foreboding worry of trust with social media information. One of which is blogging. It took a while for the BBC to warm up to blogging. They regarded blogging as: ‘amateurish, filled with errors and not credible.’ To be honest I would not disagree with this comment. “Journalists shouldn’t have any time to blog, there are too many stories waiting to be told.” ‘Why Kate Adie Hates Blogs’, Michael Mullane, 2007. The BBC finally made their blogging move in 2006, and it nice to say that some successful blogs have emerged due to this. Here is a good example – Nick Robinson. 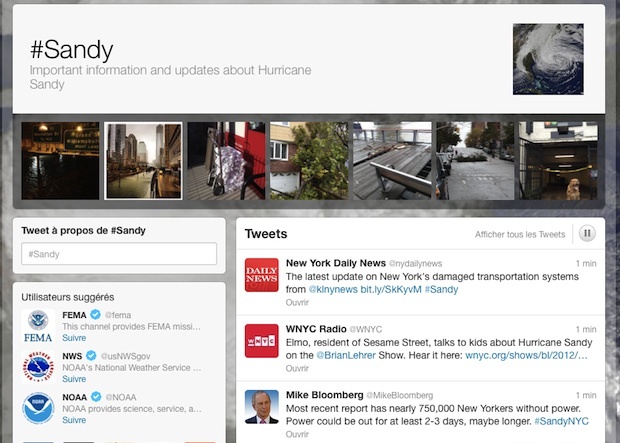 Continuing on the issue of trust, although Hurricane Sandy showed how useful social media tools such as Twitter are, it also displayed how easy false information can be spread and distributed around the world. The Guardian created an interest story on the particular false tweets which were mistakenly made into news stories as well. Click here for the story. Although there are issues with social media, it does allow a relationship to be formed from journalist to reader than no other mainstream journalism can create. Clay Shirky also agrees with this and stated that the internet’s ability to support ‘many to many’ conversations, gives that former audience the chance to talk directly to each other. I would say that social media is impacting mainstream journalism but NOT replacing it. It is just another form of accessing journalism, that is new and developing. We will see what happens. Posted on November 7, 2012, in Online Revolution, Twitter and tagged andrew keen, bbc, blogging, citizen journalism, clay shirky, coverage, disaster, guardian, hurricane sandy, iranian election, jemima kiss, Jess Jarvis, journalism, kate adie, live, mainstream journalism, michael mullane, mumbai attacks, new york, nic newman, nick robinson, online, relationship, replacement, rise, scott rubin, sharing, social media, twitter, upload, witness, youtube. Bookmark the permalink. 1 Comment. People underestimate the importance of people who were at the ‘wrong’ place at the right time. So often journalists rely on these sources to unpack stories to be able to write about them in depth. I understand the shared frustration when bloggers and citizen journalists call themselves proffessionals with no qualifications or required skills and knowledge of a journalist. But that doesn’t take away from the fact that we do still need them in journalism, as we do social media and networking platforms that allow people worldwide to discuss, debate and share vital information.